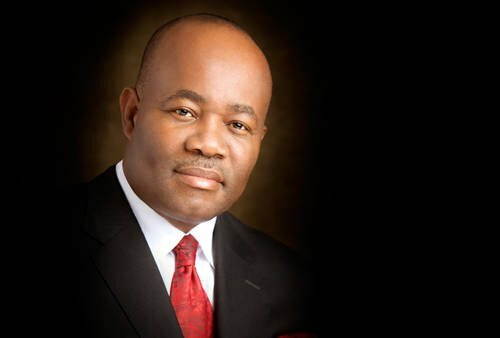 Ahead of the forthcoming election, Senator Godswill Akpabio has alleged that some officials of the Independent National Electoral Commission are working with Governor Udom Emmanuel to rig the elections. The former governor of Akwa Ibom stated this yesterday while speaking with newsmen, he also claimed that the governor has deployed huge sums to entice voters and electoral officials. He accused some of the INEC officials of not being completely independent. Akpabio claimed that the sitting Governor of the state has no single project to show and has consistently told the people that there is no money in the state, even after collecting refunds spent to construct federal roads by his government. He expressed confidence that the presidential candidate of the All Progressives Congress, Muhammadu Buhari will emerge victorious on Saturday. “You know that INEC is an Independent body but some of its officials are not totally Independent. “In some states, we have noticed some unholy alliances with the government in power in those states. “For example, in a place like Akwa Ibom, we have seen the body language of the government, which clearly shows that they will not be able to conduct free and fair elections, giving all the parties, particularly the APC, a level playing field. “This is very easy for you to see and from the body language of people, they have recruited to run the affairs, including the ad hoc staff and other support staff for the election. “This can be seen from the body language and the kind of things that the trainees are being told. What the National Chairman observes about opposition against APC does exist. “There are two things happening in my state. One is a lot of fake news coming from the opposition and secondly, is the massive deployment of funds to buy people. “James Hardley Chase said in one of his books that fear is the key that opens the wallet of the rich.“He told the people that there was no money to do a project and so, there is nothing on the ground in the state. “When former President Obasanjo came, they took him to church to pray but when they go to other states, the commission projects but nothing to the commission in my state. “So, now that people are clamouring for change, money is now flowing all over the state. Fear opens the wallet of the rich that is what is happening to the opposition in my state.